We will move from Yerevan to the Bagratashen customs post at 6:00 a. m., crossing it, we will be in Tbilisi in an hour. 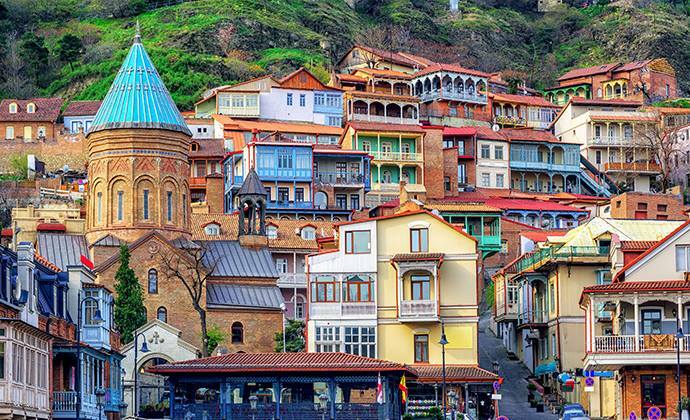 During a walk through Tbilisi we will see its most famous and attractive places. 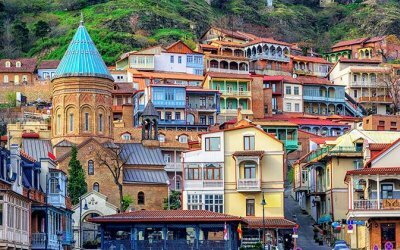 First, we will visit Avlabari district, Rustaveli Avenue, Freedom Square, Sulfur Baths and Khojivank Pantheon, where many notable and famous Armenian writers, artists and public figures are buried. Next, we will visit the old and new Armenian and Georgian churches. Nor Ejmiatsin Church, Saint Gevorg’s Church, Metekhi Church, The Holy Trinity Cathedral (Sameba) and St. Sioni Cathedral. 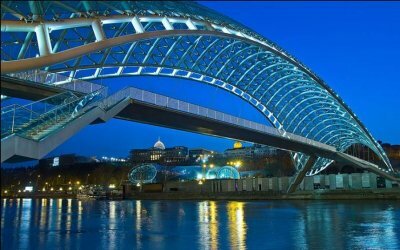 We will walk through the modern and unusual “Peace Bridge”, which connects the two banks of the Kura. Going up by a cable car we'll see the ancient fortress Narikala. It was established in the 4th century. Narikala fortress was one of the main defensive forces of Tbilisi. Nowadays from fortress there is a stunning view to Tbilisi and Gorgian monument. After the full program, we will have free time. We will return to Yerevan, with new impressions, historical knowledge and positive energy, in the evening.